Mary and James held their wedding at The Century in downtown Modesto, California. The bride and bridesmaids had the bridal suite to get ready in, and the groom and groomsmen got ready next door at Che'root. The groom sits in this masculine leather chair, wearing a fedora, and smoking a cigar. This is so MAN. In the meantime, the women are doing makeup and lacing up fluffy dresses. 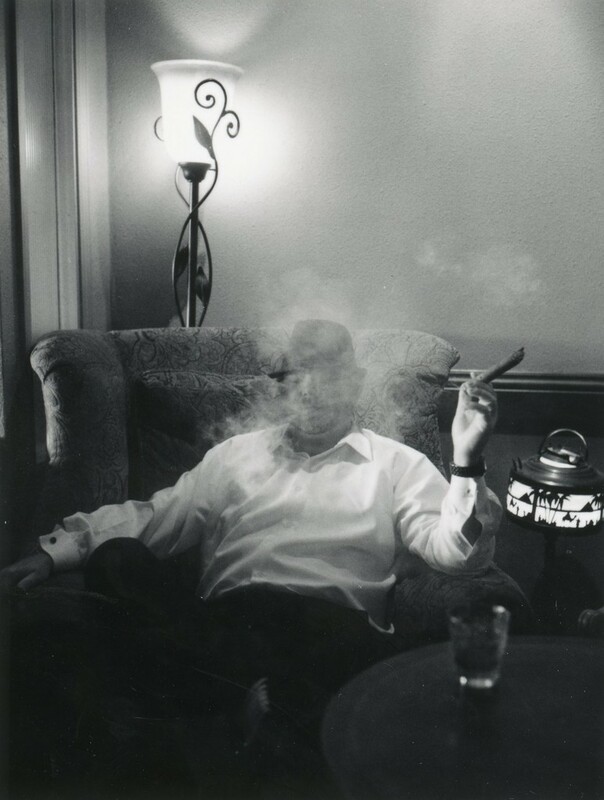 Che'root Cigar Lounge is the most popular cigar bar in Modesto. It's located at 915 10th St, Modesto, CA 95354. They have an incredible variety of cigars, tobacco, and accessories. They also have a full bar with a great bartender. Their service was wonderful and the men were very comfortable there while they hung out before the wedding. The Century wedding venue in downtown Modesto is an urban chic ballroom style wedding hall. The brick walls are rustic and beautiful. The draped fabric and unique chandeliers are elegant and modern. It's an indoor venue, so regardless of the time of year or the weather, you're guaranteed a gorgeous, perfect wedding ceremony and reception. The bridal suite is convenient and beautiful, with big mirrors and lots of space. The service at The Century is also wonderful. The staff is accomodating and hard-working. Location: 915 10th St, Modesto, CA 95354. Keywords: Black & White (30), Groom (3), Modesto (15), Polaroid (6).